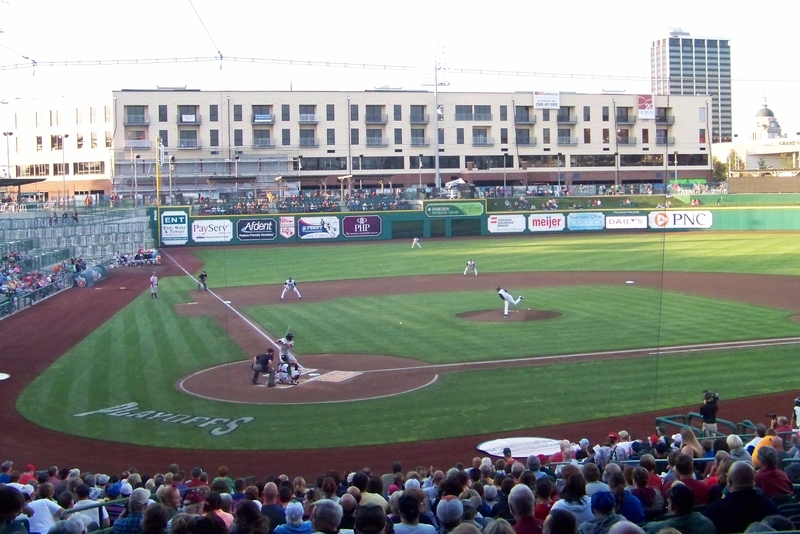 Game 3 of the Midwest League Championship Series was played in front of 4,939 people at Parkview Field in Fort Wayne. The Wisconsin Timber Rattlers took a 2-1 series lead over the Fort Wayne TinCaps by winning 10-8 in Game 3, thanks in no small part to their offense really revving up for the first time this postseason. Heading into Game 3 of the championship series, the Timber Rattlers were batting .185 as a team this postseason but had gotten this deep into the playoffs because of stellar pitching. Game 3, however, was a different story, as the Timber Rattlers scored 10 runs on 13 hits and six walks. Fort Wayne led early, taking a 1-0 lead on an RBI double by 2B Tyler Stubblefield in the 1st inning and a 3-1 lead on a 2-RBI triple by RF Yeison Asencio in the 3rd inning. But then Wisconsin scored five runs in the top of the 4th inning and never relinquished the lead. The Timber Rattlers led 10-4 heading into the bottom of the 8th inning, but their bullpen allowed a pair of TinCaps runs in both the 8th and 9th innings. Timber Rattlers 3B Brandon Macias went 3-for-4 with a HR, 3 RBI and a walk. OF Ben McMahan also drove in three runs, and 1B Nick Ramirez hit a solo homer. TinCaps 1B Lee Orr has had a hot bat throughout the playoffs, but he struck out four times and made five outs in Game 3. The game was played in front of 4,939 people, an impressive attendance figure for a Midwest League postseason game. Game 4 is scheduled to start at 5:05 p.m. EST Sunday. If the Timber Rattlers win, it will be the franchise’s first Midwest League title since the Appleton Foxes won three consecutive in 1982, 1983 and 1984. If the TinCaps win, Game 5 will be played at 7:05 p.m. EST Monday. The TinCaps won the title in 2009, the only other time the team has reached the championship series. This entry was posted in 2012 Playoffs, Fort Wayne TinCaps, Midwest League, Wisconsin Timber Rattlers. Bookmark the permalink.